Roman and Greek writers make this the greatest event in Parthian history - a Salamis moment, or even a Battle of Britain moment! But there's possibly a more sober view: "Orodes II had to crush a Roman incursion near Carrhae". For the Romans, it was the worst thing ever - at any rate since the devastating defeat by Hannibal at the Battle of Cannae in 216 BC, where Roman casualties were actually less. 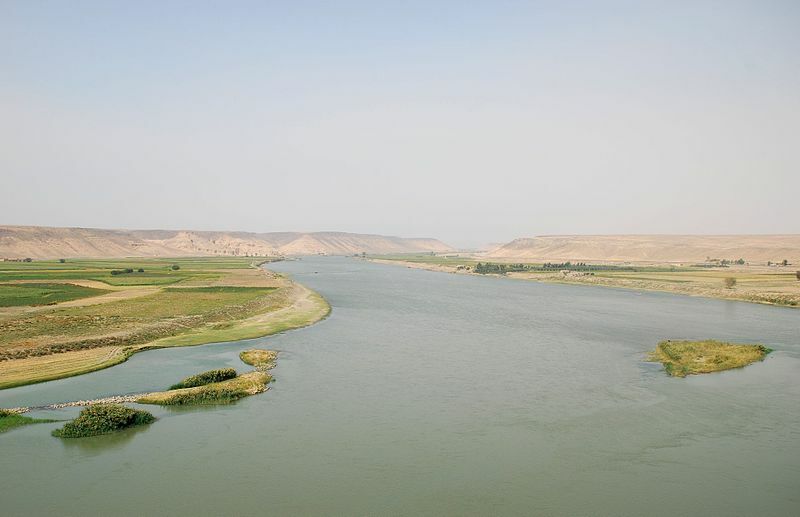 The Euphrates was, thanks to Suren's victory, established as the frontier between the Parthian empire and its western rivals for the next 700 years. Rome had been disgraced and humiliated, not just beaten - there were essential lessons in military tactics for them to learn. The Parthian empire had shown itself as Rome's equal. There was one unfortunate loser on the Parthian side, the hero of Carrhae himself, Suren. Orodes II, whose invasion of Armenia had been a mere distraction - and ended with a patched up peace - was terrified that Suren, carried away by his success, would challenge his royal authority. The answer was simple: have him assassinated. Without Suren, and without his horse-archers, a Parthian follow-up invasion of Roman Syria in 51 BC under Orodes' son Pacorus was in the end unsuccessful. They couldn't take Antioch, and were eventually told to come home. Crassus' death at Carrhae brought the inevitable confrontation between Pompey and Caesar closer. The civil war began in November 50 BC when Caesar crossed the Rubicon and invaded Italy. Pompey fled to Greece, where in 48 BC his army was defeated. He hoped to be able to regroup in Egypt - but he was murdered as he stepped ashore. Ptolemy XII had owed his throne to Pompey, but his two children, Cleopatra and her younger brother hadn't wanted Roman interference in their own civil war. This didn't stop Caesar marching into Alexandria as if a conqueror. He quickly realised he'd seriously underestimated the Egyptian determination to stay independent. He found himself under siege in the palace he had commandeered. 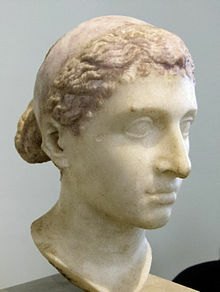 Cleopatra, though, knew that Caesar was her only hope of remaining queen of Egypt. After the defeat and death of Mithridates VI, Pompey had broken up his empire , and divided Pontus and the rest of Anatolia into smaller chunks, each awarded to a grateful local king. Pharnaces II, Mithridates' son, as a reward for his disloyalty to his father, had been allowed to keep his father's territory to the north of the Black Sea. Now Pompey was dead, most of the kings who'd backed Pompey quickly changed to support Caesar. But Pharnaces II saw an opportunity. Having intercepted Caesar's instructions to his commander in Asia, he soon had the Romans on the run. He got Pontus back with ease, and had his eye on Armenia. By now (47 BC) Caesar, mostly through luck, had got out of his tight spot in Alexandria, and was enjoying a Nile cruise with Cleopatra. As soon as he heard what Pharnaces was up to, he set out to deal with him. It was quick - after his victory at Zela, Caesar summed up the campaign in three famous words: veni, vidi, vici. As soon as Pharnaces got home, he was assassinated. By 46 BC, Caesar had eliminated all opposition. He was back in Rome, the unchallenged leader of the Roman world. Caesar had been planning his next project since 47 BC - the invasion of Parthia. 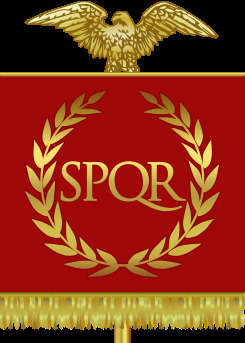 Legionary standards had been captured, and Rome made to look foolish with the disaster at Carrhae in 53 BC. This was Caesar's excuse - not that he needed one. Alexander had been planning further conquests before he died - what else can a conqueror do? Legions were trained, commanders appointed, supplies put in place - everything was ready to go. 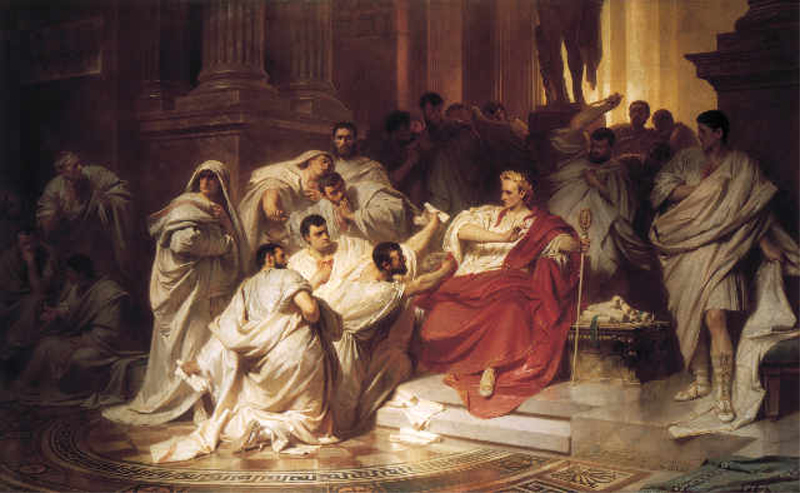 But then on 15th March 44 BC, Caesar was assassinated. Among the "Liberators" (as the assassins wished to be called) were several generals who'd been due to leave with Caesar for Parthia. 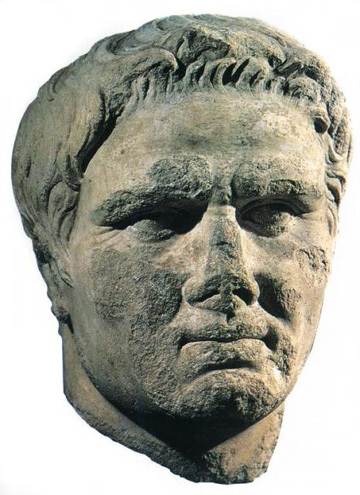 Marcus Antonius ("Mark Antony") along with Caesar's heir, Octavian, took charge of Caesar's supporters, and forced the Liberators, led by Brutus and Cassius, to flee, like Pompey, to Greece to try and regroup. The Parthians, siding with their enemy's enemy, sent troops to help the Liberators. Brutus and Cassius were soundly defeated at the Battle of Philippi in 42 BC. But one of their generals, Quintus Labienus, whose father had once been Caesar's right-hand man in the conquest of Gaul, fought on, with his Parthian allies. In 40 BC he and Pacorus invaded Syria, this time capturing Antioch. They then split their forces. Labienus continued into Anatolia, while Pacorus won all the cities along the Mediterranean coast (except Tyre, which even Alexander had found very hard to take), and set up a Parthian backed government in formerly pro-Roman Judaea. The Judaean puppet king Herod was forced to hide in his impregnable fortress at Masada, while Pacorus installed his own Jewish friend, Antigonus, as ruler of Judaea. 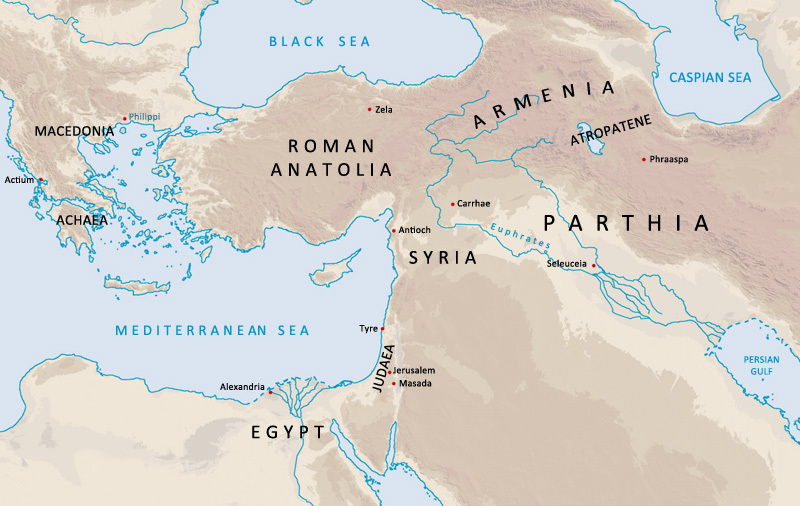 Most of Rome's Asian provinces were now under Parthian control. Then in 39 BC came the counter-attack. Mark Antony's commander, Publius Ventidius, moving very quickly, surprised the Parthian army, which consisted only of heavy cavalry - no horse-archers. Labienus fled, but Ventidius caught him up. The Roman legions overpowered his small force, and Labienus was killed. He then forced Pacorus to back out of Syria. The Parthians' quick gains has been lost just as quickly. Ventidius accepted a huge bribe from Antigonus to leave him in control of Judaea. Pacorus, now probably co-ruler with his father Orodes II, returned to the attack in 38 BC, but was killed in battle. Grief-stricken, Orodes II abdicated in favour of another son, Farhad IV. Ventidius was the only Roman general of this era to defeat the Parthians, which he did three times. Rome celebrated his victory, seeing it as a fitting revenge for the disgrace of Carrhae: Pacorus' death balancing out the death of Publius Crassus. Ventidius was busy reasserting Roman authority in Syria and the other territories when Mark Antony arrived. Not good news for Ventidius. He was promptly sacked for looking too successful. As soon as Orodes II appointed Farhad king, Farhad decided to take no chances. He murdered his father and all his 30 brothers and half-brothers - showing a ruthlessness of character which would eventually have repercussions. Mark Antony intended to settle affairs with the Parthians once and for all. 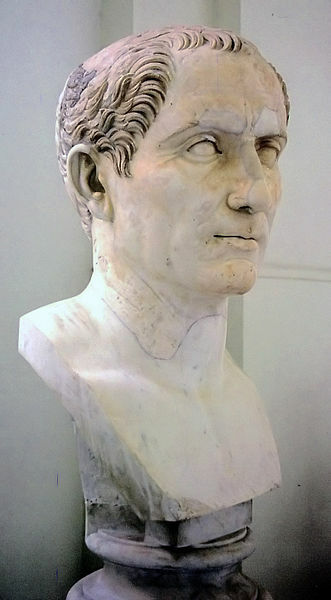 He desperately needed two things - money to pay troops (and to offset the expenses of his own lavish lifestyle), and military success to boost his reputation in Rome: both were necessary for the showdown with Octavian, which now seemed inevitable. He seems to have learnt little from the Crassus fiasco - apart from his decision to get to Parthia through Armenia rather than the desert. With a force of 100,000 men, he advanced through Armenia and into Media Atropatene, an ally of Parthia. He began a siege of its main city, Phraaspa, where he believed vast amounts of gold were stored - an important target therefore. After the Parthians destroyed his supply column (which he'd foolishly raced ahead of, leaving it guarded by his Armenian allies) he didn't have the resources to continue the siege and was forced to abandon it. The invasion of Parthia did not happen. The Romans retreated, and they were continually harassed by Parthian attacks, suffering heavy losses, until they reached Armenia. But by then it was winter, and more men were dying. By the time Antony got back to Antioch, he'd lost over a quarter of his men (around 28,000). It was a second Roman catastrophe. He'd planned to get back the standards lost by Crassus - he ended up losing more himself. Farhad IV re-used the coins he captured, stamping his own image on top of Antony's. Antony consoled himself with a trip to Egypt. Relations between Farhad IV of Parthia and king Artavasdes I of Atropatene were degenerating. Artavasdes I (very confusingly he had the same name as the king of Armenia, Artavasdes II.) sent a plea for help to Antony - who was still relaxing in Egypt. In 34 BC Antony returned to Armenia. He pretended he needed Artavasdes II (Armenia) to help support Artavasdes I (Atropatene) against Parthia. When the king did not turn up, Antony took him prisoner, and made his son Artaxes king (Artaxes II). In 33 BC he continued into Atropatene again. Antony and Artavasdes I made an alliance: Antony helped repel the Parthians from Atropatene, and Artavasdes I promised help against Octavian. In 31 BC came the final confrontation between Antony and Octavian at the Battle of Actium, on the west coast of Greece. Had Antony's forces not been weakened by the Parthian campaigns - while Octavian's power was steadily increasing in the west - Antony and Cleopatra might have won. The Roman empire might then have moved its centre eastwards to Alexandria - and its emperors been Egyptianised Macedonians. However he lost - Egypt became an important Roman province and Octavian went on to become the emperor Augustus, who presided over a largely peaceful Mediterranean world from 27 BC to AD 14. But Parthia still held the Roman standards captured in battle against Crassus and Antony. The disgrace still rankled. A second major Roman disaster as Mark Antony attempts to win cash and glory by invading Parthia. In Malcolm Colledge's Parthian Art Elek 1977. Orodes' son Pacorus married the sister of Artavasdes II, the new Armenian king. Octavian was Caesar's heir, an 18-year old when the dictator was assassinated in 44 BC. He could call himself Julius Caesar, which made it easy to raise an army of his own. It seemed only a matter of time before he fell foul of Mark Antony. However, they agreed to work together, and in 43 BC formed the "Second Triumvirate" with him (and a nonentity called Lepidus). They had divided the Roman empire between them - Octavian had Italy and the west, Antony the east, where he'd become lover and partner of the queen of Egypt, Cleopatra. Supposedly in the same place where Mithridates VI had crushed Lucullus' army. The famous words mean "I came, I saw, I conquered". Evidence from cuneiform tablets suggests that polygamy was normal among the Arsacid kings - with more than one wife designated queen. Some of their wives might be sisters of half-sisters. Such arrangements made sure that the dynasty would survive, with plenty of princes available to help the administration, and plenty of princesses available for alliances with other royal dynasties. It did mean, however, that competition to succeed one's father could be quite intense. 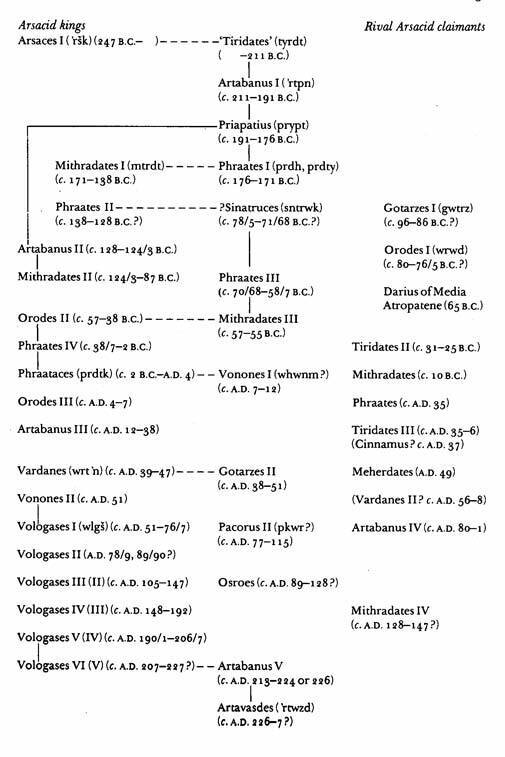 (See Joan M Bigwood in Iranica Antiqua 2008). His wife Octavia (Octavian's sister) was there to meet him, with 2,000 of the 20,000 troops her brother had promised Antony. He refused to see her - and she returned to Rome - a tragic figure whose composed behaviour in the face of her husband's rough treatment did a lot to undermine Antony's standing among the Roman governing class. Antony went off to Alexandria to spend time with Cleopatra - he'd fathered a third child with her in Antioch before the ill-fated expedition. Artavasdes II (Armenia) was taken to Alexandria and paraded in his triumphal procession - but he offended Cleopatra by refusing to prostrate himself in front of her and was later beheaded by her. He was rewarded with a chunk of Armenia, and betrothal: Antony's baby son (Alexander) was to marry Artavasdes' baby daughter. But without the troops he sent to help Antony at in 31 BC, he was defeated by Farhad IV and lost his kingdom. He escaped to Rome, where he was welcomed by Octavian (now the emperor Augustus) and given another territory (Lesser Armenia).